IBPS PO Prelims Admit Card 2018: It is necessary to download IBPS PO Admit Card for those contenders who are going to attend PO/ MT Prelims Exam (13th, 14th, 20th and 21-10-2018). No individual will get entry in examination hall without IBPS PO Prelims Admit Card. Complete instructions to download IBPS Online Admit Card are available on this web page. 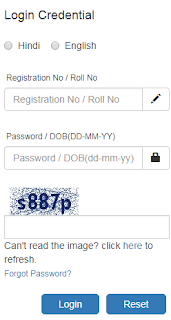 You need to follow those instructions and with the help of roll number/ register number/ DOB, you will get the IBPS PO Exam Hall Ticket. After clearing the IBPS PO Prelims Exam, candidates will go through mains exam (18-11-2018). At the end final selection against IBPS PO Recruitment will be done on the basis of aspirants’ performance in interview round. To grab more details about IBPS PO Prelims Admit Card 2018, aspirants need to look at below section of this web page which is well prepared by the team of www.privatejobshub.in. Check it out and download IBPS PO Admit Card/ IBPS PO Call Letter. To download the IBPS Bank PO Admit Card from official site, candidates must follow the below provided steps. After entering all the required details, you have to hit on “Login” tab for Institute of Banking Personnel Selection PO Prelims Admit Card. You are advised to go through IBPS PO Prelims Hall Ticket carefully and also download the IBPS PO Preliminary Admit Card on your desktop. At last, you have to take a print out of the Admit Card of IBPS PO Prelims 2018 and keep IBPS PO Admit Card safe for future use. Check the below given details carefully given in IBPS PO Prelims Admit Card. Must have a look below!!! Candidates are suggested not to carry Mobile Phones, IT Gadgets and all such electronics gadget in the exam center as these are banned in the test venue and reach before the time. It is compulsory for all the applicants to download www.ibps.in admit card 2018 before appearing in the prelims exam. No contender will be allowed to attend the exam without IBPS PO Admit Card/ IBPS PO Pre Exam Admit Card. IBPS PO Preliminary Examination consists of 3 subjects. Total duration of exam is of 1 hour. IBPS PO 2018 Exam will be conducted through online mode. There is Negative Marking in IBPS PO pre exam. 0.25 marks are deducted for each wrong answer. Check the complete IBPS PO Exam Pattern 2018 from here. The IBPS PO Main exam total duration is 180+30 minutes. IBPS will be conducting in descriptive paper. IBPS PO Mains Exam has 5 (4+1) sections with a total score of 200+25 marks. After cracking IBPS Probationary officer Exam, candidates have to eligible for the interview process. You can visit this Official Link to get complete details regarding IBPS PO Admit Card 2018-19. If you have any query regarding BPS PO Prelims Admit Card/ IBPS Admit Card PO then you may write it in the mentioned below comment box.